Your safety is very important. 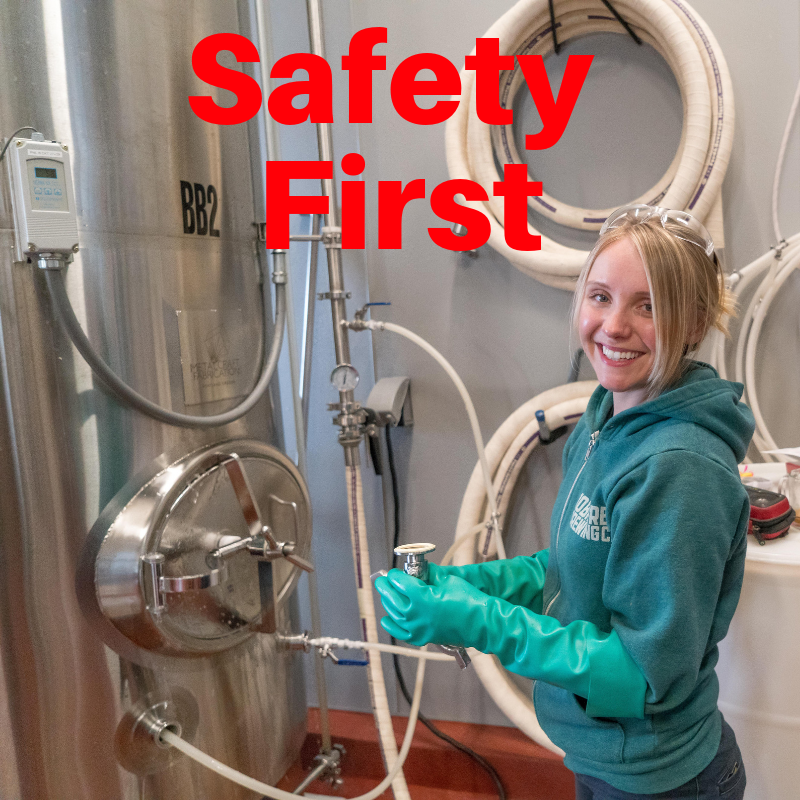 Our instructors will advise and guide you around the hazards of the brewery. This is an industrial manufacturing process and does inherently create risk of injury. Natural and manufacturing processes create heat, pressure, and potential exposure to chemicals, and should not be taken lightly. On the day of the event, you will be issued Personal Protection Equipment (PPE), including chemical and heat resistant safety gloves, and safety glasses. These gloves and safety glasses must be worn at all times when interacting with the brewhouse equipment. You MUST wear closed-toe skid-resistant shoes, socks, and long pants in order to participate. Long sleeve shirts are required. Head protection is not required, but a baseball cap is recommended. Long hair must be kept unexposed and tied together in a braid, pony tail, or under a cap and secure. Rock Hill Brewing company reserves the right to deny any participant that does not meet the requires safety clothing requirements.